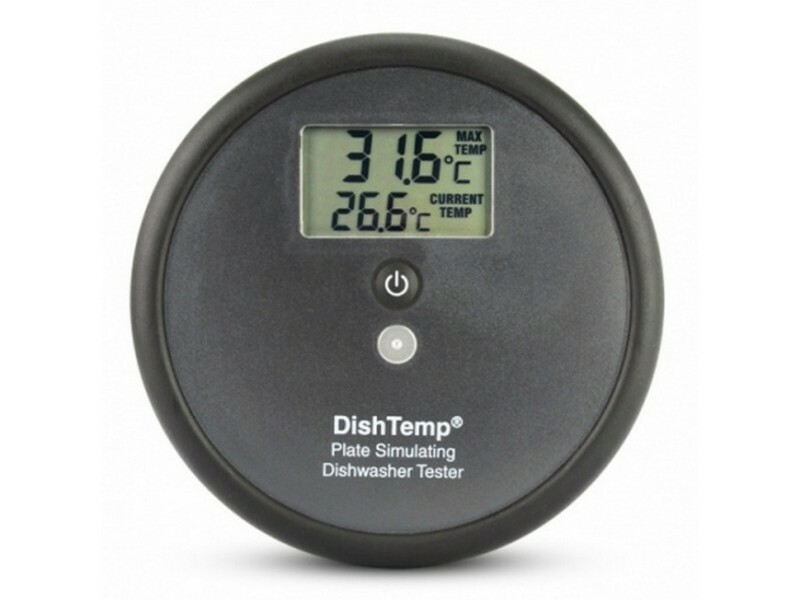 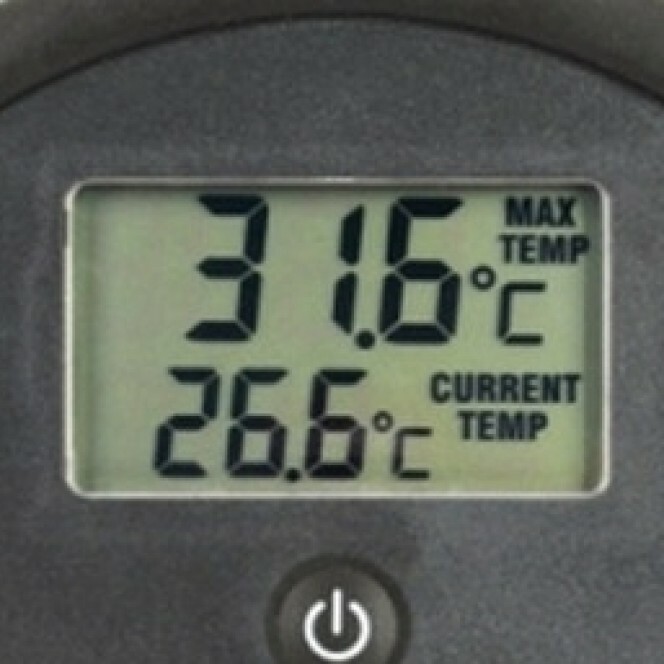 The DishTemp® dishwasher thermometer simulates a plate as it’s cleaned and sanitised in a commercial dishwasher, accurately recording the maximum surface temperature at the touch of a single button. 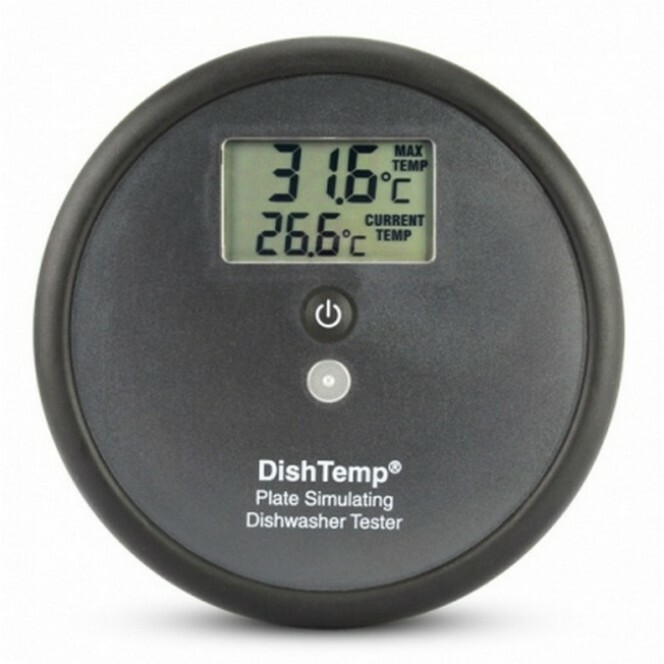 The DishTemp® thermometer eliminates the need for costly and inaccurate test strips and stem thermometers that don’t stay in place and don’t record temperature at the plate surface. 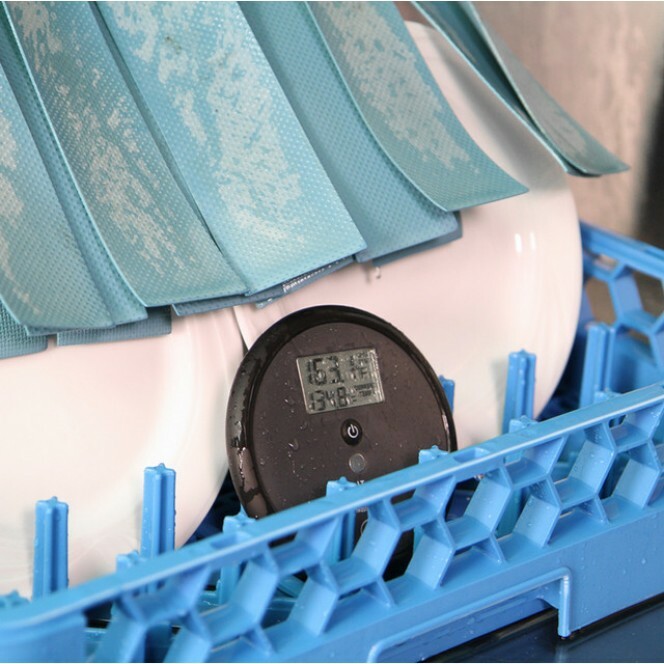 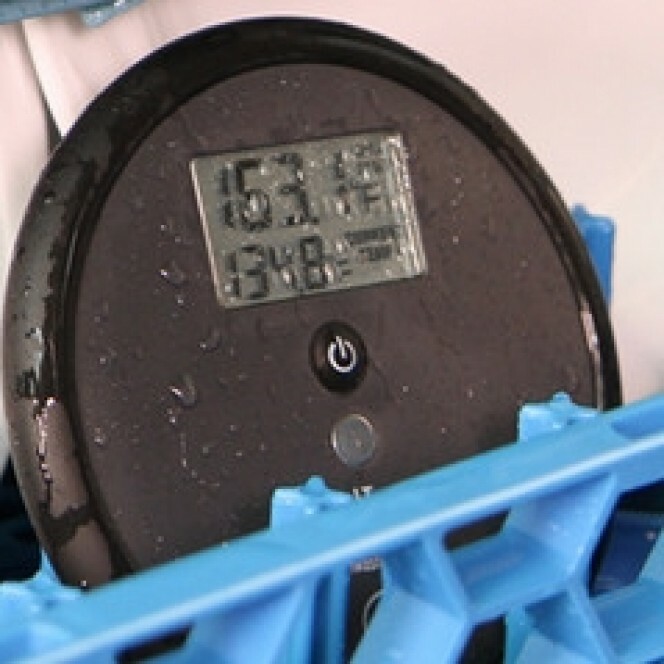 Incorporating a durable water-tight seal, the DishTemp is waterproof to IP66 and is supplied complete with a traceable certificate of calibration, calibrated at one point only - 71°C .